Artists are some of the original dumpster divers. William Gibson, the novelist, writes in his short story, ‘The Winter Market’ that folks who can recycle stuff into art are the one who don’t read the manuals. I find that my grandkids are terrific at picking up pieces of cast-off stuff and seeing a new use for it. This week I found some thin squares of aspen trimmings in the wood bin. It was a short jump to seeing them as prototype paper pulp. And the size was just like a post-it. So I made a post. 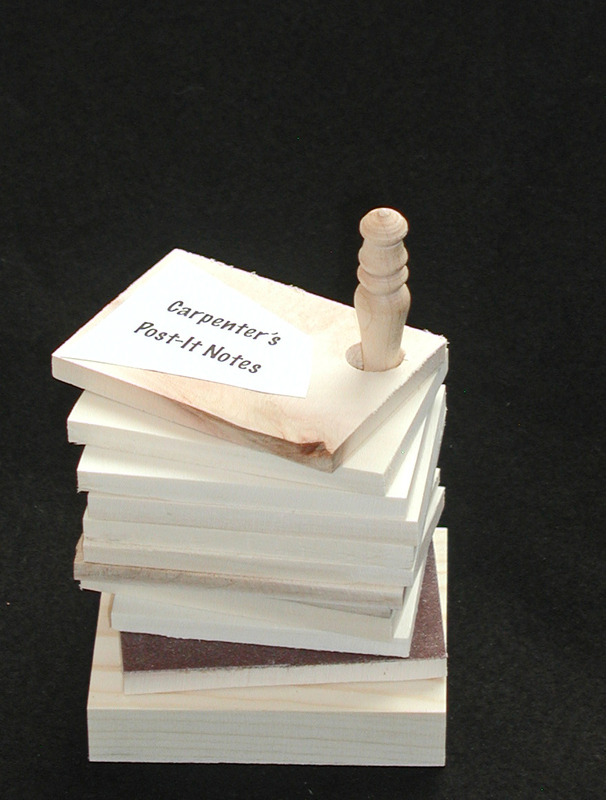 The eraser is some sandpaper glued to the bottom board on the stack. 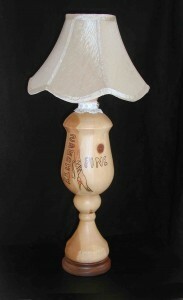 I won some old pine lamps in a raffle at the woodturning club several years ago. I had never done any spindle turning, so these were some of my first turnings of that type. When I had cut through the old finish and starting rounding off the squared-off shapes of the lamps, I found that they were made of glued-up pieces of plain construction pine. The curves of the turning process created some ovals and curves from the glue joints. The pine turned out to be full of knots, which added a lot to the character of the lamp.